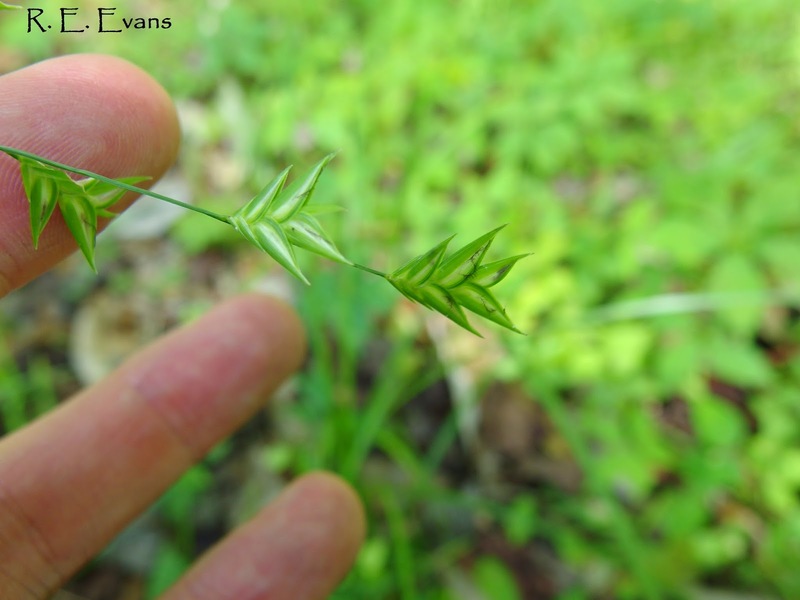 Probably the rarest Woodoats grass or Chasmanthium species in North America, the natural range of Shiny Woodoats (Chasmanthium nitidum) is almost entirely found in Florida. 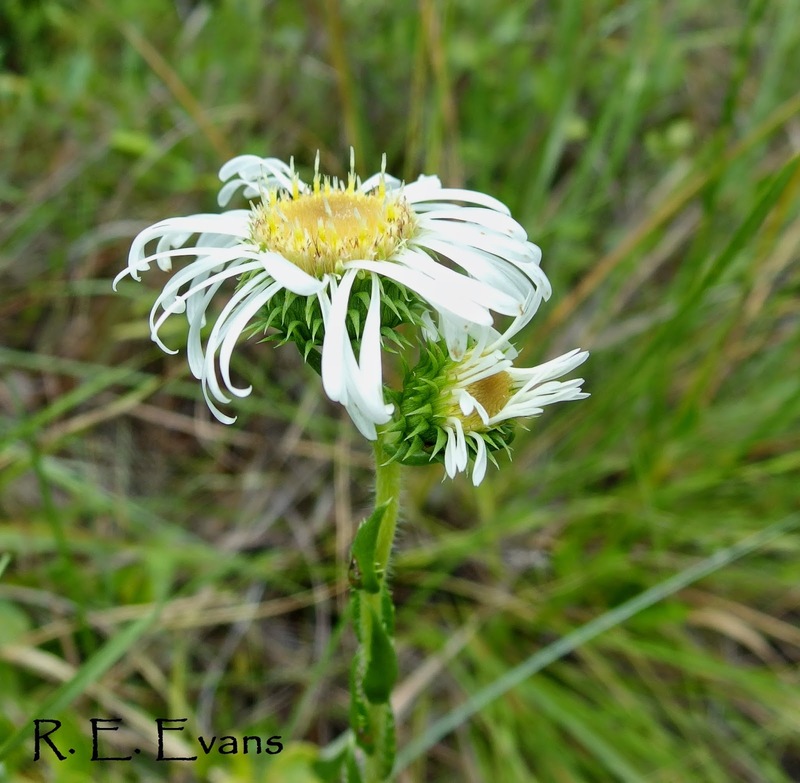 The grass barely finds its way into NC where it is considered threatened, being known only from Pender County. 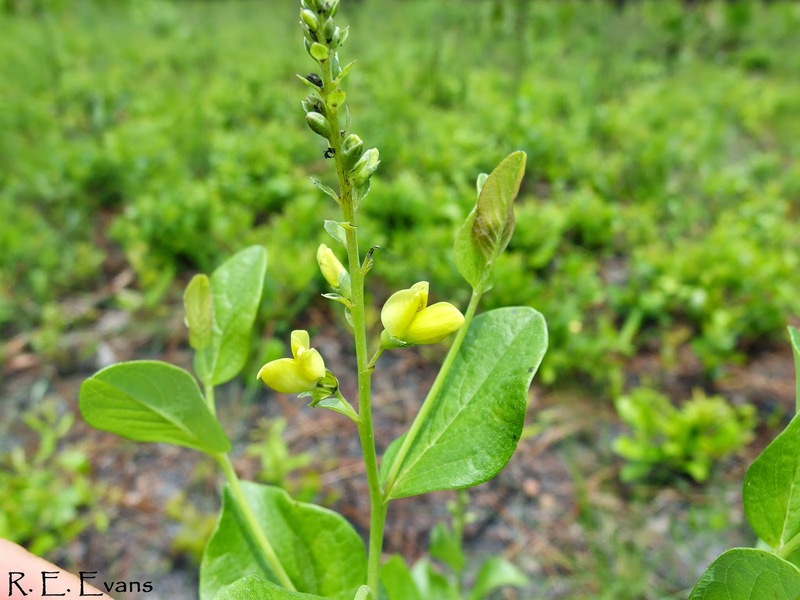 One of the Wild Indigos, or sometimes called "Scareweed", Baptisia simplicifolia is a narrow endemic confined to a couple counties in north Florida's panhandle. 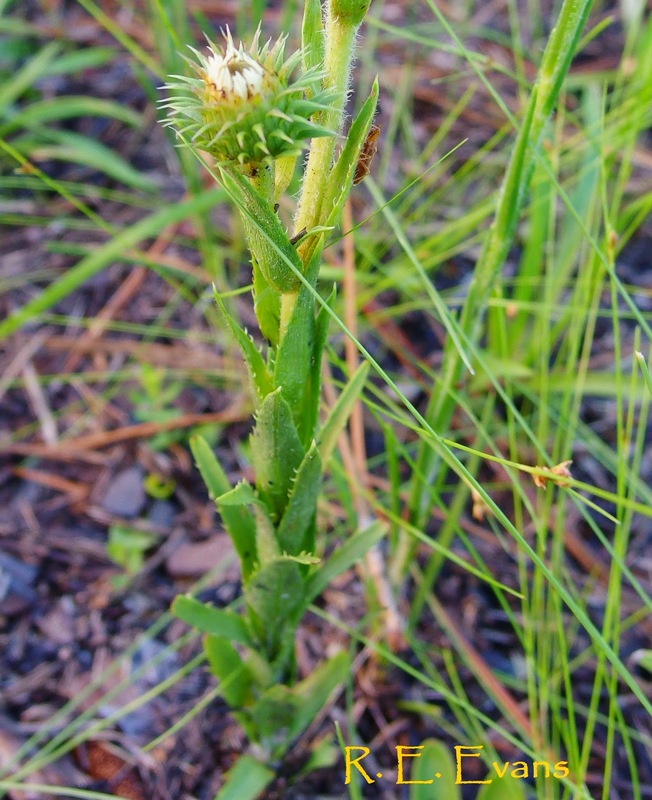 Limited to open pinelands, this is one of the many fire-adapted species found in longleaf pine flatwoods. At the end of the growing season, stems break off above ground and the plant blows around like tumbleweed, helping to distribute seeds still found in the capsules. The vast majority of the world's population is found on the Apalachicola National Forest.